So it’s sort of impossible to be a fan of romance in stories and not appreciate Jane Austen. Even if you wouldn’t choose to sit down and spend the day reading one of her classic stories, you still have to recognize them for what they are – iconic romances that inspire story after story even today. 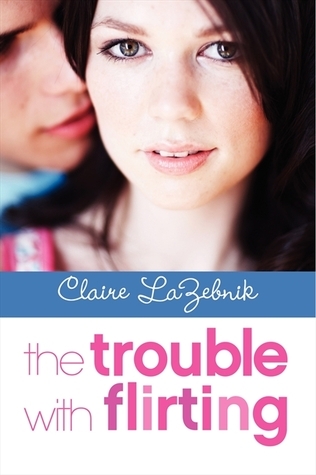 Claire LaZebnik’s latest, The Trouble With Flirting, is a clever take on Austen’s Mansfield Park. In it, Franny is a student working a prestigious summer theater program in a humbling role: assistant to the costume designer (who just happens to be her very serious and tediously boring aunt). To say the least, Franny’s not thinking it’ll be a really exciting summer… until the theater participants arrive. One of the students there is a guy Franny’s had a crush on for years, and she starts spending as much time as she can with him and a new group of friends. Of course, she tries to get his attention by flirting with a guy who’s showing some interest in her, and that’s where the trouble with flirting really begins. I’m a fan of Franny in this. She’s spunky and smart and she stands her ground in most situations. And, even though she’s stuck being the costume designer’s assistant, she’s not sulking around and being miserable… she’s out there having fun, making the best of it, getting the guys. She’s someone I would have waned to hang out with in high school. I know, it’s sad that I hadn’t read Ender’s Game before now. And honestly, I don’t even know why it took so long… I thought it would be more of a younger middle school and upper elementary story, but I was very wrong. Ender’s Game has everything in it that made me love The Giver. First of all, there’s a futuristic, thoroughly screwed up society. It needs fixing and saving. And Ender, like The Giver’s Jonas, is the one who is called upon to save it. The action and language are more intense than The Giver, but never in an inappropriate way. It’s tense, and the resolution is unexpected – though I figured out most of what was happening before it was officially revealed to Ender and the reader. It was a fun bit of speculation and dramatic irony for a little while. Having really enjoyed this book, I have to say that I’m very much looking forward to the movie coming out soon. From the descriptions of everything in the book, I’m thinking it’ll definitely be one to go see in the theater. 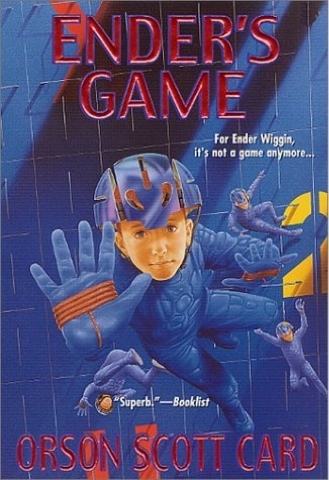 I’m not sure that I’ll read any of the sequels to Ender’s Game, though. I’m kind of happy with where it ended. I definitely recommend this book to middle school and up – and there’s a lot here for adults, too. As always, read the book before you see the movie!